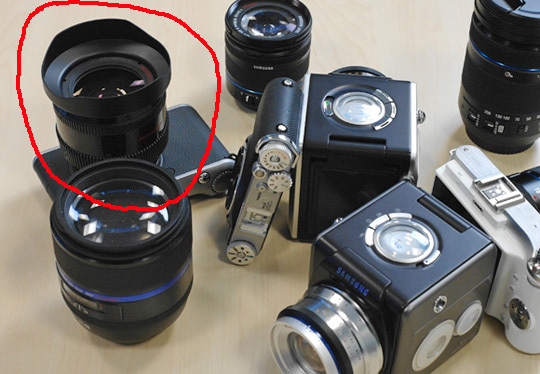 The circled lens on the picture above is the actual prototype of the upcoming Samsung NX 12-24mm f/4 lens that is listed on the Samsung NX 2012 roadmap. The final version will have ED glass and a new VCM (Voice Coil Motor) specially designed for video recording. The lens is expected to be released in the first half of 2012.